The theme of the Prodigal Son ran throughout our various Father’s Day activities in the Jinja area. The story is so easily adaptable for people of all ages and stages of life. These tiny tots were no exception. 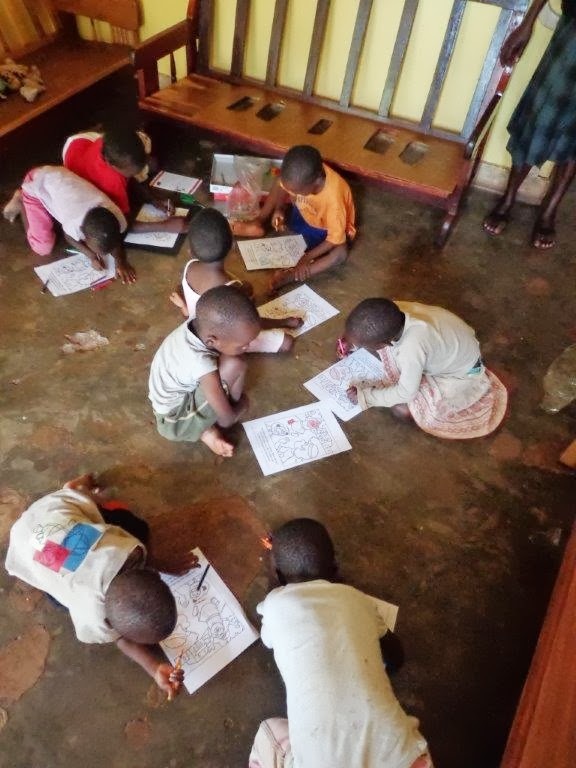 Each having a coloring page, they’ve become quite practiced about what to do with those pages now, I talked to these tiny orphans about the love of their heavenly Father and that even if they make mistakes they can go to him and say sorry and he’ll love them just the same. 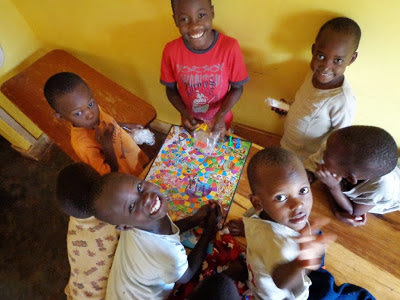 As children are children, though, they were a smidge more interested in the new Candy Land game I brought for them. As usual, the eldest boy, Chris, took charge of setting up and teaching the others about colors and how to play. I even got to practice my Luganda colors a bit. Oh how I love these kids and their caretakers. Such a lovely and very large family.